Galaxy is an enduringly popular choice. Tradiitonal design features integrated pedestals for personal storage. 18mm desk top made from Grade E1 melamine faced high density particle board. Single two or three drawer pedestal. 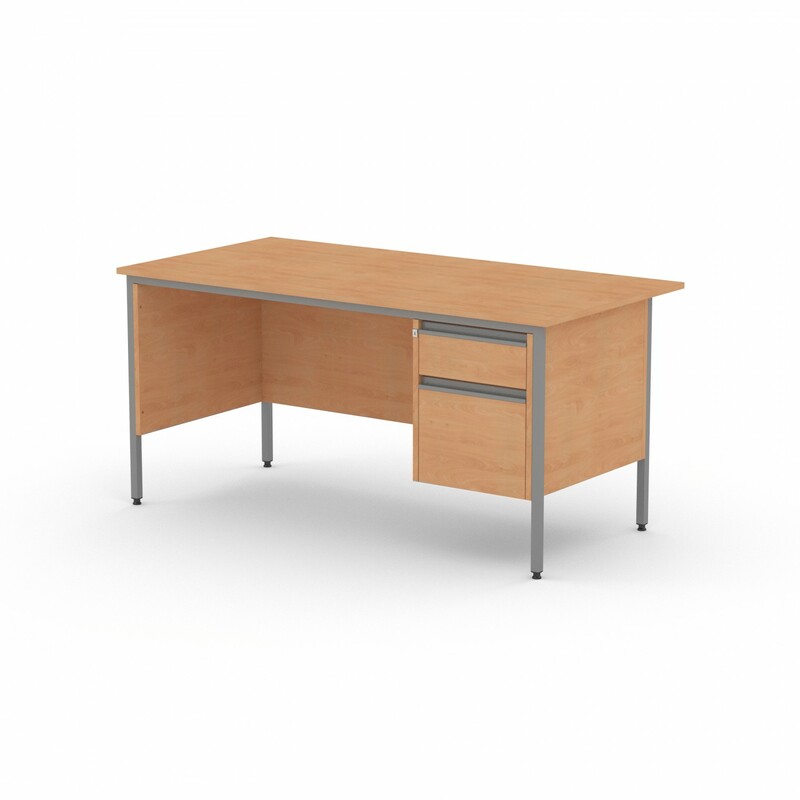 Each desk has four legs and a full metal underframe for added strength and stability.